The Neka Art Museum was opened in 1982 and is named after a Balinese teacher Suteja Neka who collected paintings as a means of artistic documentation. 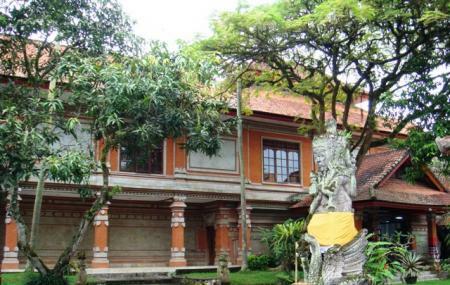 Nowadays the museum has a great selection of works from many famous Balinese artists and expats who have lived here and influenced local artists. The museum displays unique paintings based on various scenes and incidences from Hindu epics of Mahabharata and Ramayana. The combination of new and old art culture is what makes this museum unique and a must-visit for history and art enthusiasts. Free for children less than 12 years of age. How popular is Neka Art Museum? People normally club together Tegalalang Rice Terrace and Don Antonio Blanco Museum while planning their visit to Neka Art Museum. It’s a good place to learn about some of the basic elements of traditional Balinese painting and see more recent stuff, some sculpture. The building is very nice. One hour is more than enough. 75k is fair. We went to the Neka Art Gallery. Is that different from the museum? Confused. The place was derelict. Gives you an idea of some of the different Balinese Art Styles but very run down. Seems like they have given up. Seriously way over priced. The art must be suffering in the humidity. Something should be spent on aircon to preserve these works.